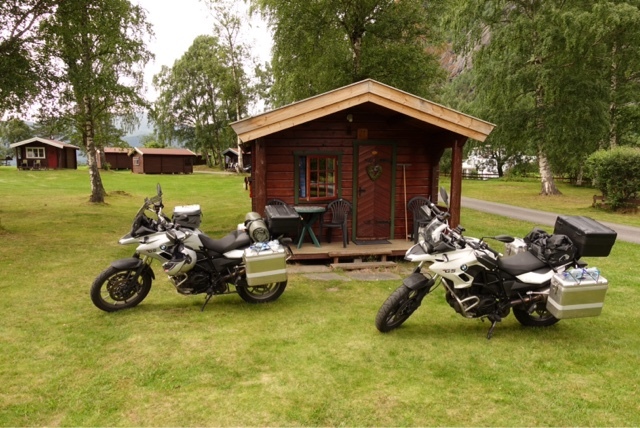 Here we are ready for the motorcycling roads Norway is most famous for. 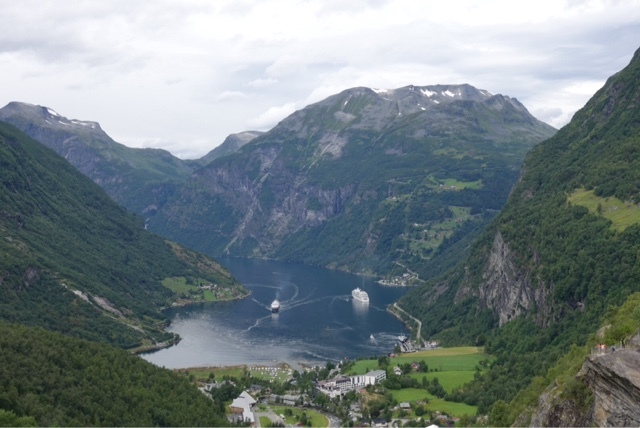 First off Geiranger. 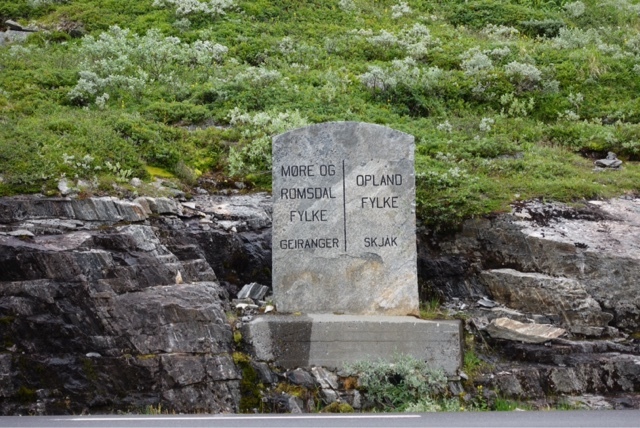 It starts off in an alpine glacial wonderland then plummets into Geiranger fjord. 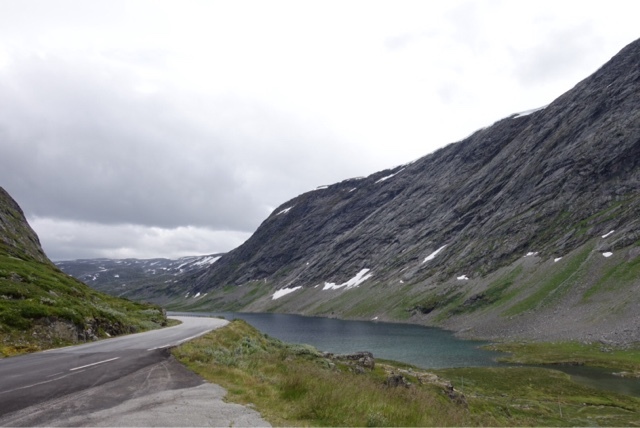 From there one climbs out slowly behind numerous motorhomes. (living proof that we "humans" are ultimately selfish). Then it's down to another ferry crossing. From the ferry it is a slow climb to the top of the Trolstein. At the top I stopped to take the mandatory photo but Gerty (in the lead) completely missed the tourist centre and rode down to the bottom. Realising her error she road back up again to meet me then we continued down together. 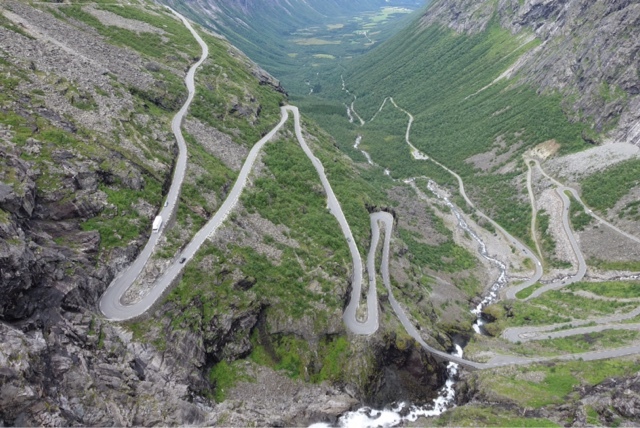 Now the first half off the day was brilliant riding, However, the hair pin bends and loads of slow traffic of the Geiranger fjord and Trolstein switchbacks are not a brilliant ride. Don't get me wrong it is beautiful but it's way too crowded to be a great ride. Gerty however loved Trolstein doing it twice, not so much for the curves but for overtaking recklessly on the straights.